“Easter” is a registered trademark. Cease-and-desist all uses? March 25, 2016 / David / Comments Off on “Easter” is a registered trademark. Cease-and-desist all uses? Today is Good Friday, the legal and Christian religious holiday of sorts commemorating the crucifixion of Jesus Christ. Sunday is Easter, celebrating the resurrection, concluding Holy Week, and also culminating in the end of the religious period known as Lent. These events have been recognized throughout the Christian and secular world for over 2,000 years. There have been 319 different “easter” trademarks that have sought registration through the United States Patent and Trademark Office. Currently, there are 103 existing applications and/or registrations where EASTER is a part of the mark. EASTER EGG HUNT has also been registered for ice cream (Reg. No. 46/28,627) as of 2014. 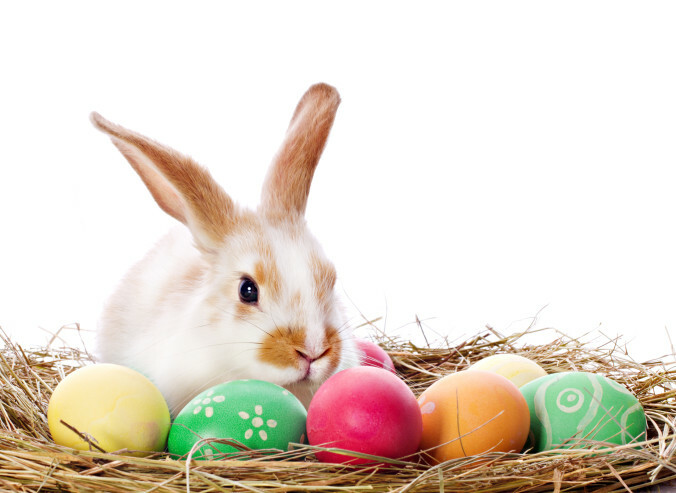 For more traditional uses, EASTER JUBILEE has been registered for plastic gift wrapping paper, artificial plastic grass, molded plastic Easter eggs, and wooden baskets (No. 43/03,536). THE EASTER BUNNY has been registered for charitable services (Reg. No. 31/26,975). There have been eight applications for “Good Friday” themed marks, with one existing registration for FEEL GOOD FRIDAY… which may not be particularly Easter-themed. There are 31 applications and registrations for “Lent,” though given the multi-purpose meaning of the word, most do not apply to the Easter event. For example there is an abandoned application for LENT… for cigarettes (Application Serial No. 74/369,540) from 1993. Nevertheless, there is a pending application for LENTSANITY (Application Serial No. 86/783,073), for “Providing a web site featuring information about religion; Providing a web site featuring information in the fields of personal relationships, personal growth and motivation, and self-fulfillment; Providing a web site featuring information on love, romance and interpersonal relationships.” Essentially, it appears this is for a future-planned online dating website for Catholics. Happy Lent, indeed! There is only one application for PALM SUNDAY in any context, and it has since been abandoned. This application was for HE IS RISEN! AND IT IS FINISHED… BETTER TOGETHER PALM SUNDAY TO EASTER. This mark was proposed for conducting religious prayer services. The application for a certification mark was abandoned in 2012. While not technically a trademark, there is the famous “Palm Sunday” tornado outbreak in 1965… a well-known shorthand name in meteorological contexts. Meanwhile, it should not surprise anyone that there are thousands of trademarks and applications for JESUS in all contexts. Too many to enumerate here.